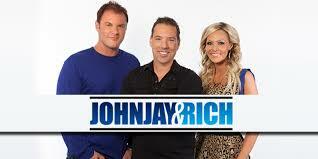 Johnjay and Rich are considered one of the hottest CHR morning shows today, syndicated in top-tier markets around the country. Both Johnjay Van Es and Rich Berra agree that that they wanted to be on the radio their entire lives. Now, the Johnjay and Rich show is described as a non-stop blend of pop culture, music news and events, and relationship advice featuring appearances by a wide range of music artists, newsmakers and celebrities. The show is a special brand of "reality radio," with listeners engaged and interacting with the crew from morning to night via every form of social media - Instagram, Snapchat, Twitter, Facebook, email and texts. They also and shoot video of their first break every day for “JJR-TV”. They share the biggest surprise since the national rollout of your show as well as mis-conceptions of those who would like to be syndicated -- and what they each know NOW that they WISH they had know 'then'! Hear Johnjay & Rich in action! Get Johnjay & Rich on YOUR station! The most effective approach to developing audience and growing share is to focus on getting different. The objective is to create contrast, to differentiate your show or station from others. This starts with listening for what’s not there. 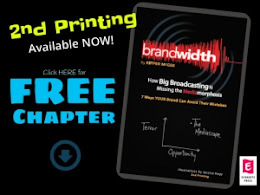 Become aware of what’s happening on the listener side of the radio. Develop an acuity of situational awareness. Pay attention, notice what’s happening and what’s not happening. Example: when the competition uses a male imaging voice consider a female voice or a male and a female, a couples voice. The difference should not be subtle. The audience should be able to perceive the difference you create. Beware: it’s a mistake investing time and resources in just getting better. Typically, the getting better approach results in holding the position you’re in or some incremental growth. Pulling away from the pack requires you to do just that. Simply being a better version of something which is already out there rarely produces sustainable success.